NBC 5 and The Botanical Research Institute of Texas (BRIT) invite you experience a memorable evening honoring Ted Turner at the 18th Annual International Award of Excellence in Conservation on Thursday, April 5, at 6:30 p.m. at the Fort Worth Worthington Renaissance Hotel. Ted Turner will be awarded for his achievements in grassland restoration and biodiversity conservation. Based in the Cultural District of Fort Worth and open to the public, the Botanical Research Institute of Texas, or BRIT is a non-profit, international, plant research and learning center focused on conservation and knowledge sharing. In 1995, BRIT established an awards program to honor individuals and organizations whose environmental contributions and leadership best reflect BRIT’s core principles of conservation, sustainability, and wise stewardship of the land. Past recipients include scientists, conservationists, a head of state, Pulitzer Prize winners, and other notables. Now, in the award’s 18th year, BRIT recognizes Ted Turner, entrepreneur, philanthropist, and founder of CNN for his environmental accomplishments. 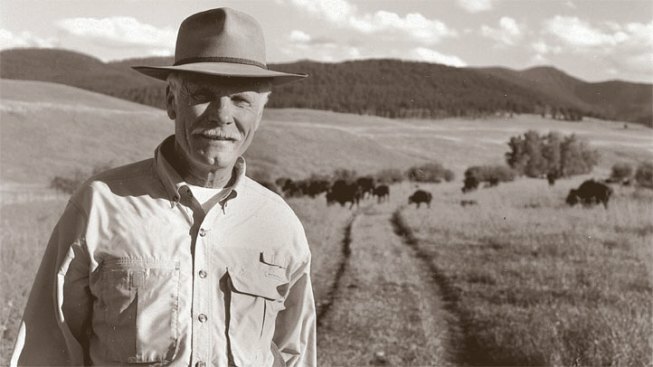 Ted Turner’s conservation efforts have helped restore millions of acres of the American Great Plains and have helped repopulate the land with native and endangered species including bison, desert bighorn sheep, red-cockaded woodpeckers, prairie dogs, and black-footed ferrets. Reserve your seat today for this memorable event. Individual tickets start at $300 each with proceeds benefiting the Botanical Research Institute of Texas. For more information, visit www.brit.org.